Kristian and I first met by coincidence one evening at a local bar. I had gone with some friends to watch the hockey game and he had been there celebrating a birthday. As the evening progressed, my girlfriend saw Kristian standing by the bar and decided to introduce themselves, because they thought he was so handsome! Before I knew it, I was left standing there chatting with him as they continued to mingle. Once we had started talking, it was as if no one else was in the bar and little did we know, our lives were about to change forever. After a recent move from Ottawa to Kingston, Kristian decided that he wasn’t going to let the distance keep us apart, and committed to driving back to Ottawa the following weekend to take me on our first date. Our relationship progressed seamlessly and was never a chore. Fridays were always the best day of the week because we knew would get to see each other after 4 long days apart. We conquered the distance between us for a little over a year and then Kristian decided to move back to Ottawa. Since all of our family and friends are here, it just made the most sense, and it was such a relief knowing we didn’t have to make the long drive anymore. We had discussed marriage over the course of our relationship because I am a planner and wanted to make sure that we were on the same page, but the proposal was a complete surprise. I knew that it would eventually happen, but not when it did. In the midst of a move from one apartment to another and the sale of a property, things were extremely hectic. Some friends of ours were hosting their annual summer party and had invited us to attend. With everything that had been going on, we decided to take a break, relax by the pool and do some socializing. We hadn’t been at the party for two hours when Kristian decided it was time to head back home. After arriving home, we had gone for a walk around our neighbourhood. While making our way back across the park, he popped the question and I was so surprised! It was one of the nicest most magical moments of my life that I will never forget. Just the two of us in a beautiful park in the neighbourhood that I grew up in…it couldn’t have been better. We ran back to my parents’ house where they were waiting with glasses of champagne to celebrate with us. Our wedding day was a dream come true. It was everything we could have possibly wanted and more, without a single detail missed. We got married at St. Anthony’s church and held a beautiful reception at the Centurion Conference & Event Centre. Before all the preparations and planning got underway, the first phone call I made was to Union Eleven. I knew that nothing was going to happen until I had confirmation that Derrick Rice was available to photograph our big day. I first met Derrick at my best friend’s wedding where I had been a bridesmaid. 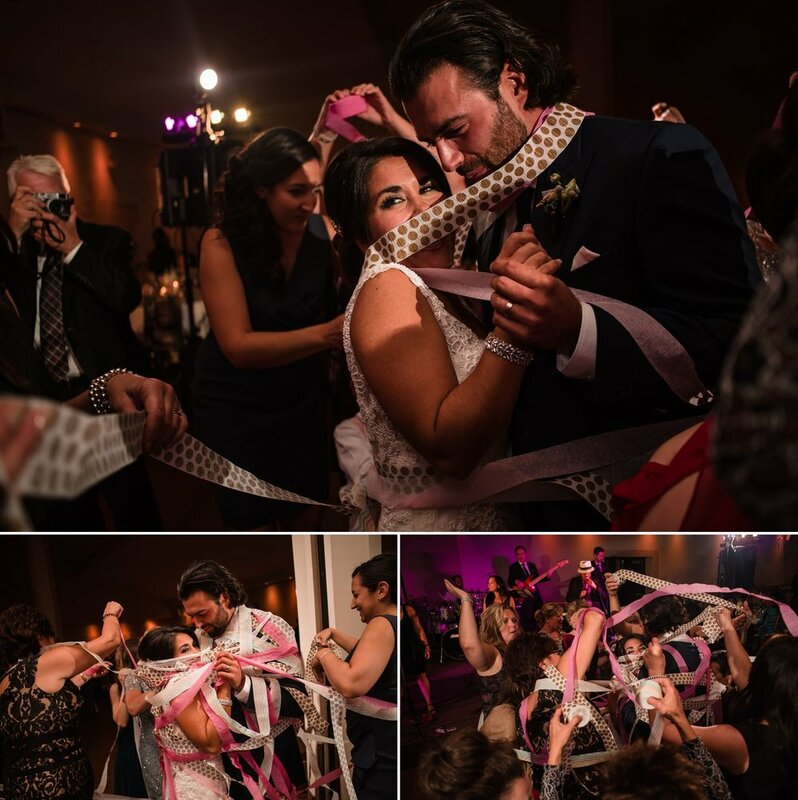 He was a one man show, new to the photography scene and had a big wedding party to manage while trying to capture all the special moments of the day. Needless to say, he totally rocked it! His fun-loving personality and vision for creativity made her photos spectacular. Before the evening ended, I remember saying to Derrick, “I don’t know if I am ever going to get married because right now it’s not looking too good...but if I do, I am going to have you as my photographer!”. Fast forward 10 years later, I walk into Union Eleven studios where Derrick welcomed me with a great big hug remembering exactly who I was. After seeing our photos from Derrick, I have no regrets. 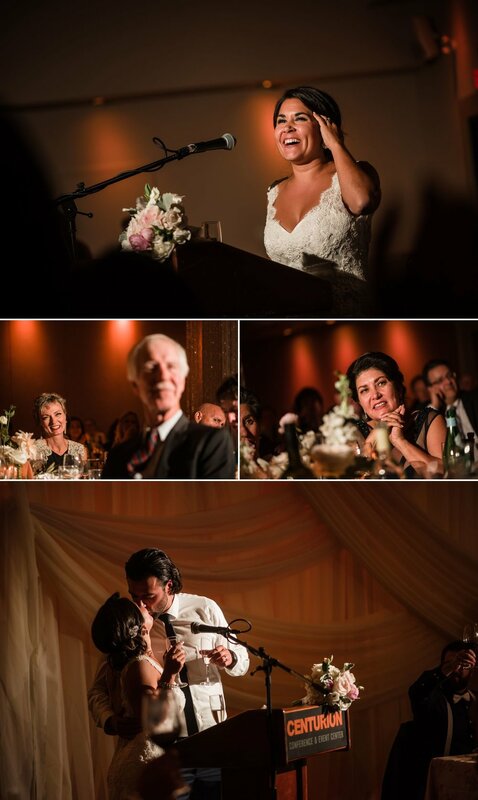 They are stunning and he was really able to capture all the emotion and special moments throughout the day. We could not be happier and truly enjoyed working with Derrick and wished he was a part of our family. To Derrick, Jessica, and the team at Union Eleven, thank you for giving us the best experience in capturing our wedding day. You’re always so professional, friendly and willing to help. You are amazing and we are so fortunate to have been able to work with you.